Distinguishing Characteristics: White female. Red hair, blue eyes. Denise's ears are pierced. Clothing/Jewelry Description: A light brown uniform. Denise was employed as an animal keeper at Wild Animal Park in San Diego, California in 2000. She and her husband, United States Marines Staff Sergeant Charles Vasseur, resided in the 1500 block of Shadowridge Drive in Oceanside near Vista, California. Charles said he saw his wife for the final time at approximately 5:00 a.m. on September 22, 2000 as he departed for work. Denise told Charles she planned to spend that night at Wild Animal Park for a sleepover event with a girlfriend. She was carrying her sleeping bag and an overnight bag at the time. Denise never returned to her residence and has not been seen again. 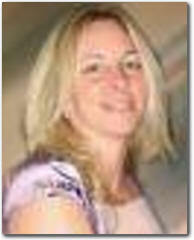 Authorities learned that her co-worker, Patrick J. Hamilton, disappeared on the same day as Denise did. Denise was having an affair with Hamilton and apparently went to his house to end the relationship on the day she vanished. Charles stated that Denise often carpooled with Hamilton in the fall of 2000. A warrant was issued for Hamilton's arrest and authorities apprehended him on September 27. Hamilton had attempted to flee from the officers at the time, but he was arrested south of Gilroy, California. He also tried to overdose on prescription medication while in police custody. Hamilton was sentenced to 15 years to life in prison in March 2002. He attempted to change his plea in December 2001, but the sentence was imposed nonetheless. Authorities have been unable to locate Denise's body, depsite extensive searches throughout various desert areas in California. She and Charles met in Africa; she was a volunteer for a primate organization and he was on embassy duty in the region at the time.